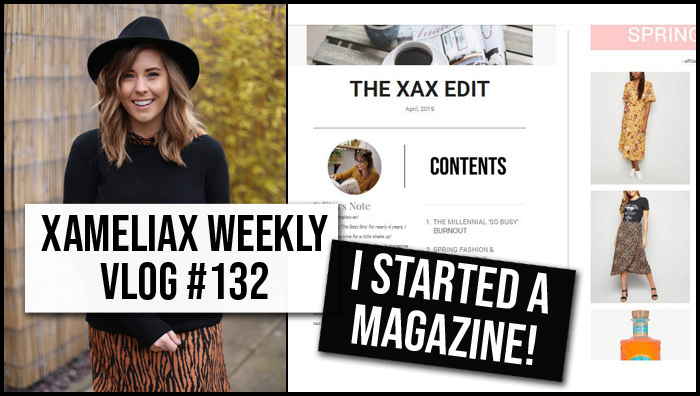 We’re back with the weekly vlogs and this one is filled with baking, blogger mail and some very exciting news about two new projects of mine including my brand new Lifestyle Magazine The xax Edit! For all you gin lovers here is a link to a full review of the Gin Subscription Box I got gifted and am thoroughly enjoying! Make sure you head on over to my instagram @xameliax to be notified of my new collection with Bloom From The Darkness and sign up at the bottom of this page for my new Lifestyle Magazine…it’s FREE!